Can you ever have too much of a good thing? 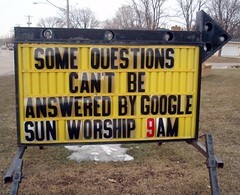 According to Google, the answer is ‘yes’ when it comes to SEO. In the past couple of years, the search giant has made a concerted effort to improve the quality of its index. The measures taken are wide-ranging, from updates targeting content farms to the more recently announced penalty for pages with too many ads. Now Google is apparently set to take its efforts one step further by targeting pages and sites it deems have been over-optimised. British police have shut down more than 1,200 websites selling fake designer clothing in jewelry in the past week. And along with those websites, they’ve taken out some of Google’s top results. Thanks to a tweet tip, the aftermath of Scotland Yard’s crackdown can be seen with a Google UK search for ‘ugg boots‘. As I write this, no less than seven of the top 10 results on the first page for this search are inaccessible. One of the websites that can’t be accessed includes the top-ranked site: okuggboots.co.uk. Is Google really capable of detecting paid links and webspam? Paid links are something I’ve written about lately as the possibility of Twitter data being incorporated into the Google and Bing search indexes has raised the spectre of a much more complicated situation vis-à-vis paid links. In the case of Google, the rules are clear: paid links are bad. If you get caught buying or selling them, you could find yourself in a world of hurt. But just how good is Google at detecting paid links? If the example I’m about to give is any indication, it’s not good at all.